I feel like a broken record, but when did the middle of the year get here? It is JUNE people! I realized this morning that it is only one month until the 4th of July. 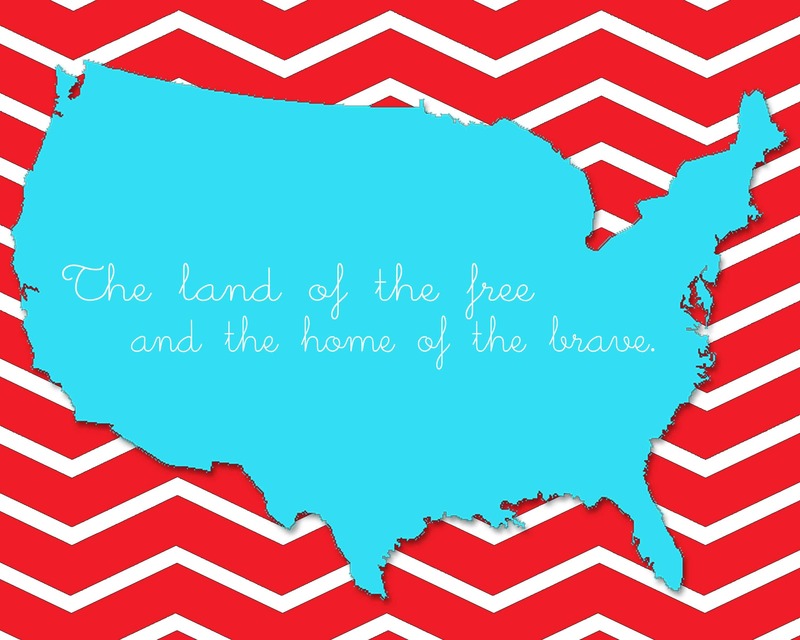 The Fourth of July has always been fun and held some of my favorite memories of spending time with family. Growing up I remember sitting on blankets at the park waiting what seemed like an eternity for the fireworks to start. We would always try to position ourselves at the top of the hill and get as close as they would let us to the action. We knew we did a good job if the ashes landed on our blanket during the show. These days, I July 4th still holds special memories but it is so much more deeply rooted living as a military family for the past 10 years. Because of the military we have had adventures and stability we might never have known. We have also dealt personally with a great deal of instability, sacrifice, and loss. I thank God every day that we haven’t had to pay the ultimate sacrifice for our freedom, but we know too many that have. So our family always celebrates this day that means freedom, and if I can help it we celebrate as long as possible with patriotic decorations hanging out from Memorial Day straight through the 4th of July! This little guy above will be decorating the table in our entry this year with a smattering of other red, white, and blue decor. And since sharing is caring, I have a copy of this free printable decor for you to print for your home as well. It is the perfect piece for an entry table, a gallery wall, a mantle or table scape. And don’t forget to put it out for your 4th of July party decor! If you love FREEBIES make sure to follow us on Pinterest! Also, from time to time we share exclusive freebies only with our Facebook Fans, so make sure you join us there! 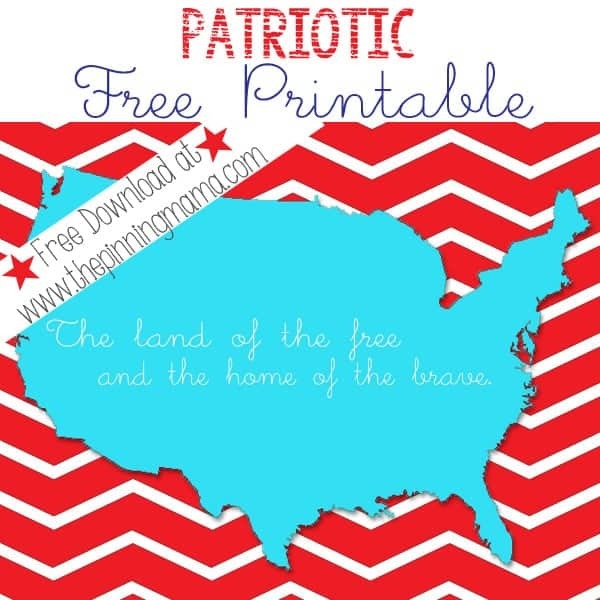 You can see all of our current freebies on The Pinning Mama here!